Amorentia Estate and Nursery is committed to the concept of Agri-transformation. Howard and his staff have attended all the annual Subtrop Transformation Summits to –date; as keynote speakers as well. SAMAC are sponsors of the concept of Transformation and the required financial assistance given to certain emerging Macadamia farmers. Amorentia has made a commitment to back-up SAMAC’s statutory assistance, by donating a further 10% of the number of Macadamia trees, to those same emerging growers, at no charge to the grower who purchases their trees from Amorentia Nursery. 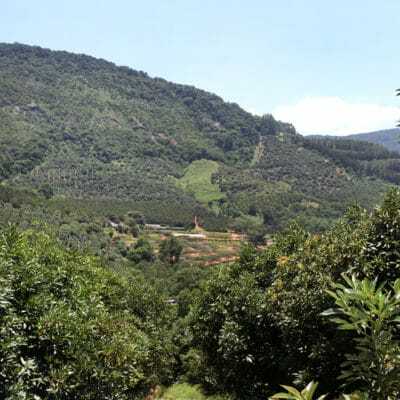 While working with AGRICOLLEGES international, who offer a cloud-based Avocado Production Short Course, Amorentia Nursery will play its part to ensure the continued momentum of the concept of Agri-transformation and Agri-education with the Subtropical fruit and nut industry. The population of the endangered Cape Parrot in South Africa have declined drastically over the last few years. During the recent 2016 Cape Parrot count, it was reported that the numbers have however increased slightly and there could be as many as 1500 birds remaining. This is mainly due to habitat destruction. Currently, the major limiting factor for reproduction of Cape Parrots is the availability of nest cavities. They prefer to nest in dead Yellowwood trees and there are few of these trees left. 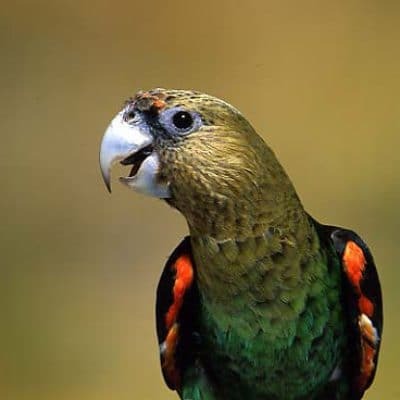 The distribution of these parrots is mainly in the Eastern Cape and Kwazulu-Natal provinces, with a small group in the Limpopo Province in the north of the country. Amorentia Estate have been monitoring the Cape Parrots for a number of years since they were first spotted feeding on Pecan Nuts on the Estate. Previous attempts to install artificial nest boxes on the farm were hampered by two major factors; bees invaded the nest boxes within days of installation and the boxes were not installed high enough in suitable trees. During a 2013 expedition, the Explore Trees professional tree climbing team, arrived at Amorentia Estate to measure Breonadia (Matumi) trees that are listed on the South African Champion Tree list. Together with Wynand Espach (general manager of Amorentia) and Howard Blight (owner of Amorentia), they started researching possible solutions to bee invasions. Through many hours of research, they came across research that has been done by Caroline Efstathion from the University of Florida and through her, they were put in contact with funders of such environmental projects. Amorentia’s project was approved and was funded by various international institutions, such as the University of Florida. The Loro Parque Foundation, The Parrot Fund and Susan Hilliard. Various other local companies also decided to back this project through funding and assistance in different forms. During May 2015 everything came together and researchers from the University of Florida, professional, trained tree climbers from around the world as well as a film crew arrived at Amorentia Estate to implement the project. 20 sites were identified on and around the Estate. Each site has one parrot nest box installed as high as possible in the canopy of the tree and is accompanied by two bee trap boxes in the same tree or nearby, but at 2 lower levels. The team from Florida has been very successful in using what they call a push-pull method. In short the parrot boxes are treated with a chemical that repel the bees and the bee boxes are treated with a pheromone that attracts bees. The bees then stay away from the parrot boxes, leaving it available for the parrots to breed in. Some of the locals as well as Amorentia employees were trained by the researchers in bee keeping, as this is one of their specialties. Once the bees move into the trap boxes, they are removed from these trap boxes and moved into hives in the orchards for pollination. At the farm school, Thlalefa Combined School, which is also situated on the Estate, one of the classrooms was converted into a small factory. The school will in time employ a local person that will lead the project at the school and the children will be involved in the afternoons. Honey and wax from the many hives that will be established on the farm will be removed by the trained bee keepers and the honey will be bottled and wax will be used to make candles. The equipment for the honey bottling and candle making was funded by the various sponsors. Amorentia Estate has developed a honey brand and will soon start marketing honey and beeswax products around the area for further funding to the school. If all goes according to plan, the project will therefore help the parrots, the bees, the farmers and the children. Long term the goal for the school would be to build a hostel for the children, many of which are orphans and are living with family members on surrounding farms. In 1983 Howard Blight identified the need for schooling for the children of farm labourers living on the estate and surrounding farms. The closest school being more than 10km away and no public transport available on the farm roads. Howard donated a section of Amorentia Estate to the Government for the establishment of a school. The school was built and opened late 1983. To this day it remains one of the best rural schools in the province with over 100 children between the ages of 7 and 13 attending. All the surrounding farms and businesses play a massive role in the success of this school with continued support and donations. Amorentia Estate remains involved in the management of Thlalefa School with Wynand Espach serving as chairperson of the School Governing Body.